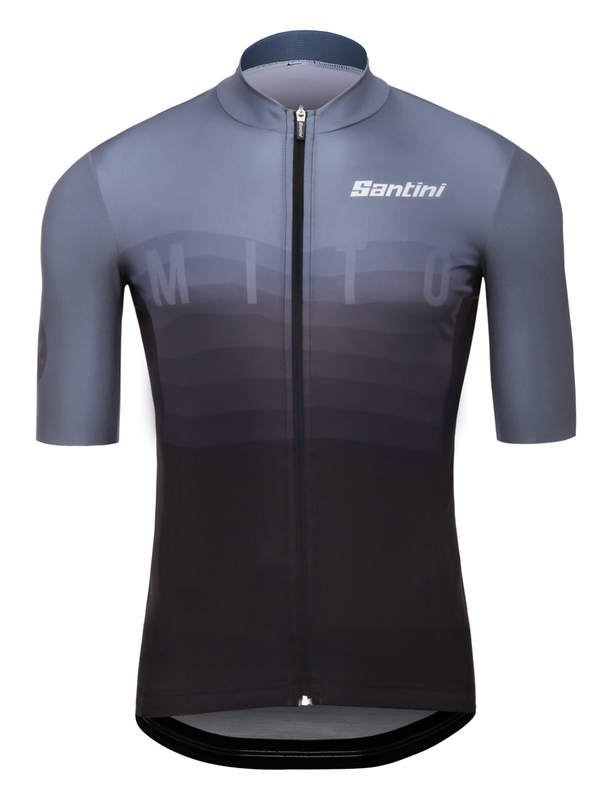 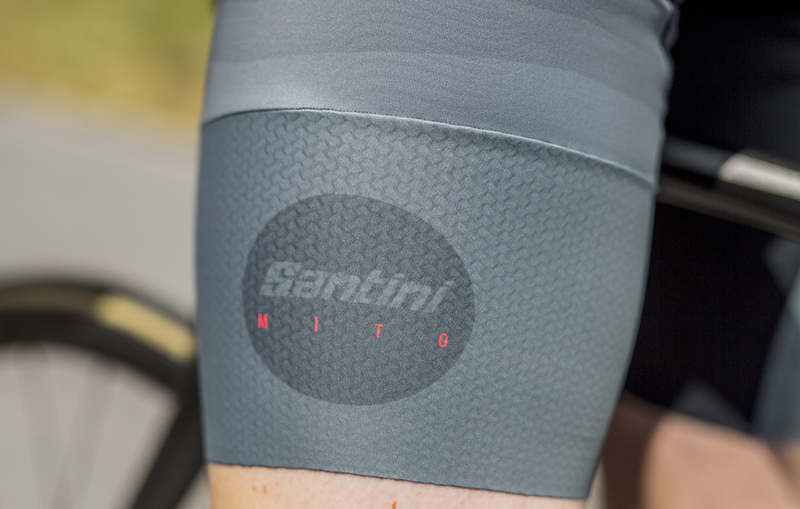 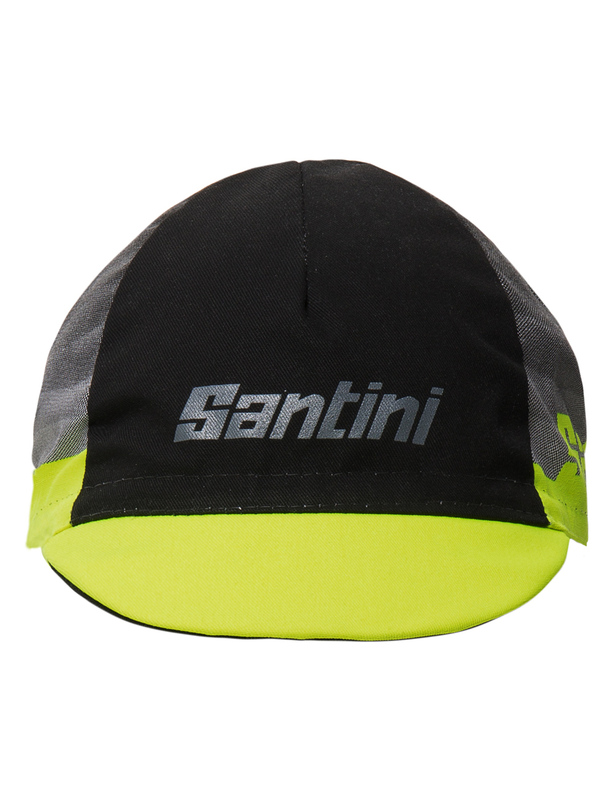 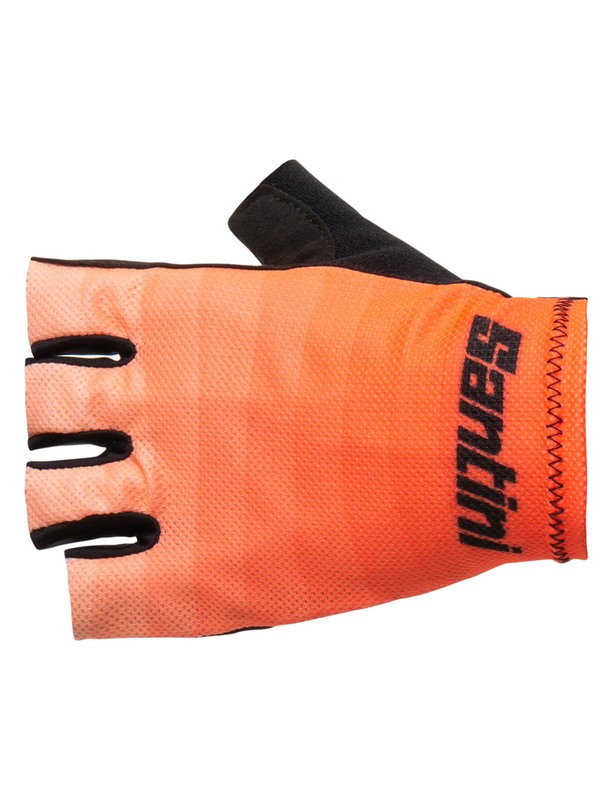 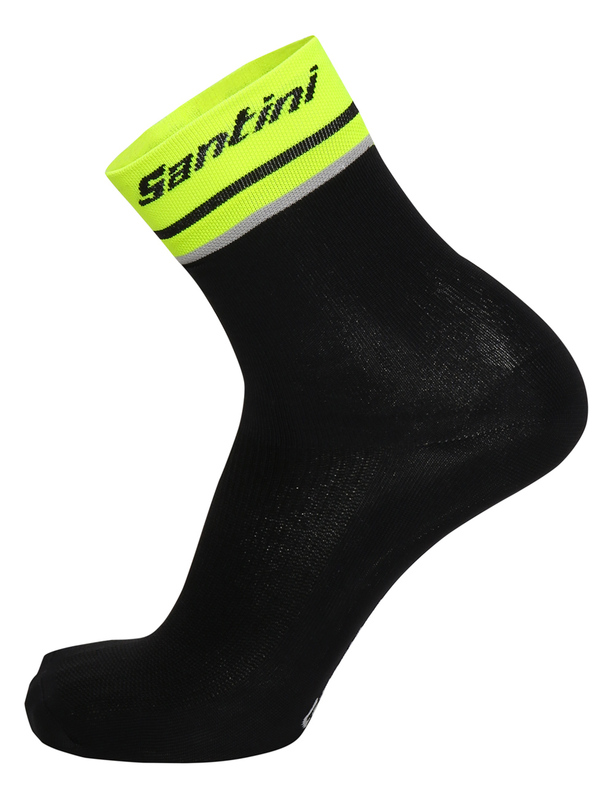 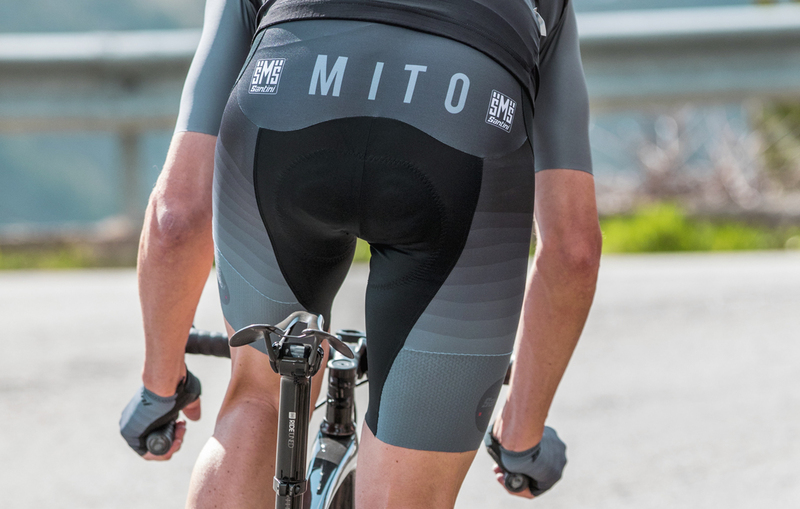 The MITO bib short is our perfect blend of highest-performance and classic Santini durability. 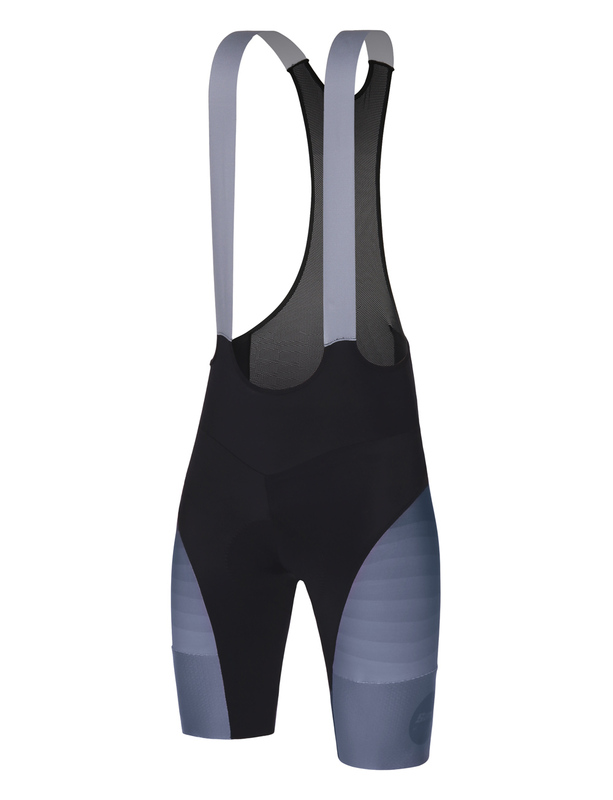 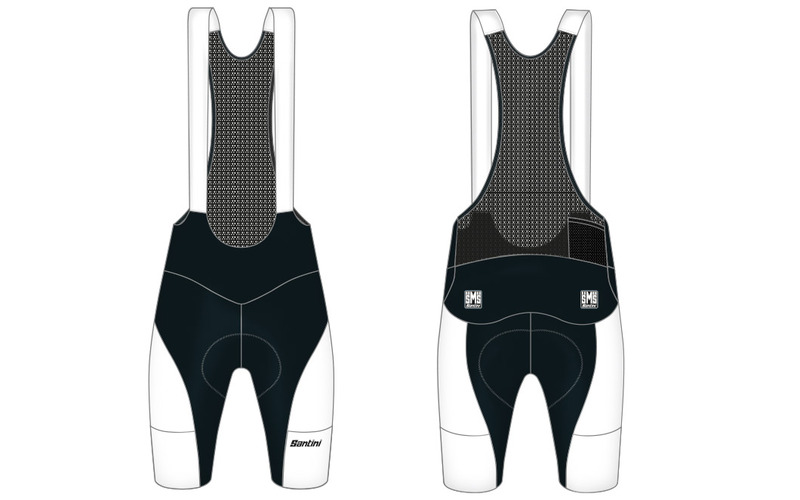 We use Thunderbike Lycra and mesh braces with a higher rear panel for stability and comfort for long training days. 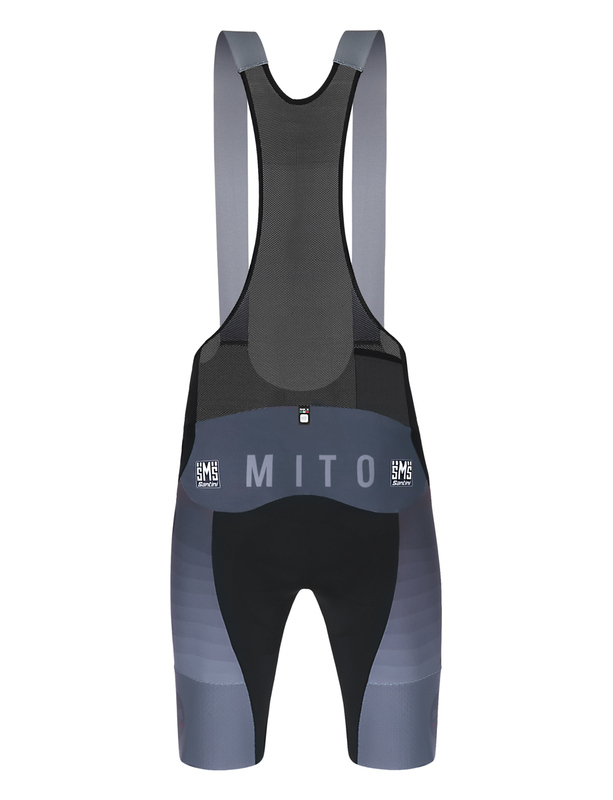 We construct the MITO bib with wrap-around side-bands to give your the largest printable area possible for your custom design (and sponsor logos) , making it a perfect team bib. 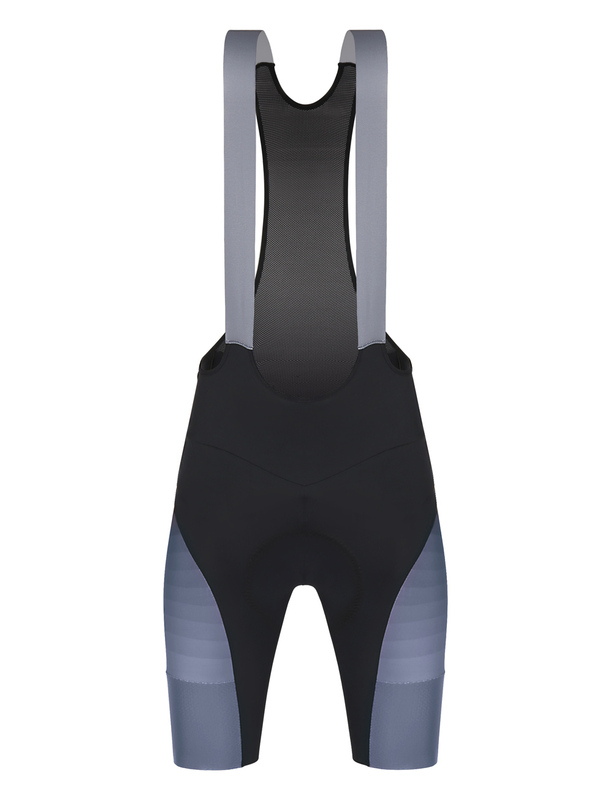 We added a radio pocket in the braces for race day.